So, I was on twitter recently (nothing new there I know) when I came across a very interesting tweet from one of my new followers. The tweet in question contained a link to a very interesting website and article focused around a campaign that is aiming to help children with autism by providing them with a way to communicate with the world they live in! Here’s how. With your help a child with autism can be given the tools needed to better communicate their needs, making the world a much easier place for them to live in. They don’t need you to give funds, they don’t want your money, all they need is your old mobile phones, even those that are no longer working! Here’s what the charity had to say! Once upon a time, a mobile phone was a status symbol, a way to tell the world that you were so important that people had to be able to reach you all the time. Nowadays a mobile is a necessity, but we still like to have the latest model with features that can improve our daily life. Now; when you want to trade up your old phone, you could be helping someone with Autism to communicate their basic needs and for the first time, truly express what they want. And the phone doesn’t even have to be working to help…. Autism is a developmental disability which typically affects social interaction, imagination and the ability to communicate. Half of all people diagnosed will have severely delayed speech and as a result, can become frustrated, leading to behavioral challenges and social exclusion. In the past, these individuals could be taught to use picture exchange communication or “pecs” a system of handing over a picture to request an item. Thus replacing that negative behaviour with a vocabulary of different pictures, all of which have a huge value to the individual. They are prompted to try to say each word and can slowly learn to speak independently with the picture system as support. However, at least a 1/4 of all people diagnosed with Autism will have to use an alternative communication system for life, which can become very unwieldy as their vocabulary grows. They must also rely on carers and therapists to update and maintain the system, so they never have independent control of what they want to say. There are electronic picture devices, but the vocabulary is static, the devices bulky and expensive and the individual cannot express exactly what they want. 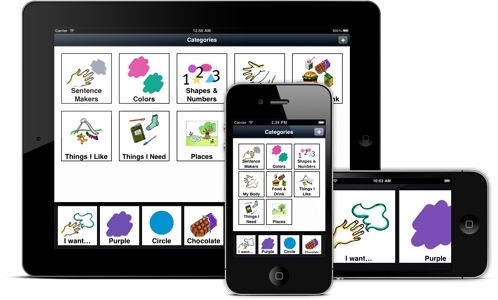 However, thanks to the development of a simple App, which recreates the picture system in a digital format, so called ‘non-verbal’ people can communicate exactly what they want on an Apple iPod or iPad. The Grace App, named after the little girl who inspired it is a basic picture vocabulary in a digital format which the user selects then shares to communicate what they want. Most importantly, they can actually add to their pictures themselves using the device camera, or google and save an image if they cannot find and photograph what they need. Lisa said the App has allowed Grace to express herself clearly and her frustration and tantrums, which could last for hours are now vastly reduced. There are a lot of families that could benefit from trying out Grace or one of the many Apps developed to support the needs of people with autism – but they need the device to use it. This is a big commitment for a family who may have limited means, and a lot of demands on their income due to the pressures of raising a child with Autism. Hearts and Minds are a charity with a mission to raise the quality of life of individuals with autism have come up with a scheme to turn old mobiles into new technology like the Apple iPad, while raising funds towards opening an Education Centre For Autism in Greater Manchester. To help: Go through your drawers and cupboards and clear out all those old mobiles that are taking up space, contact the school and donate those devices in the envelopes provided. Not only will you be giving a child with autism the chance to communicate, but you will go into a draw to get your mortgage paid for a year – who wouldn’t like that? Once I read the above I just had to write this post and share this great campaign with my readers. I also found a great video on the Hearts and Minds website that really does share a strong message with the world on what a difference we can make by donating our old mobile phones. The video shows a selected number of children with autism using their iPad at home or in school. Attached is a message from the families of these children who state what a remarkable difference the iPad has made to their child’s life. Warning… The video is a real tear jerker! I sobbed all over my iPhone! I was actually about to write a sponsored post for a company that specialises in recycling mobile phones, saving the environment and making us a bit of extra cash in the process. 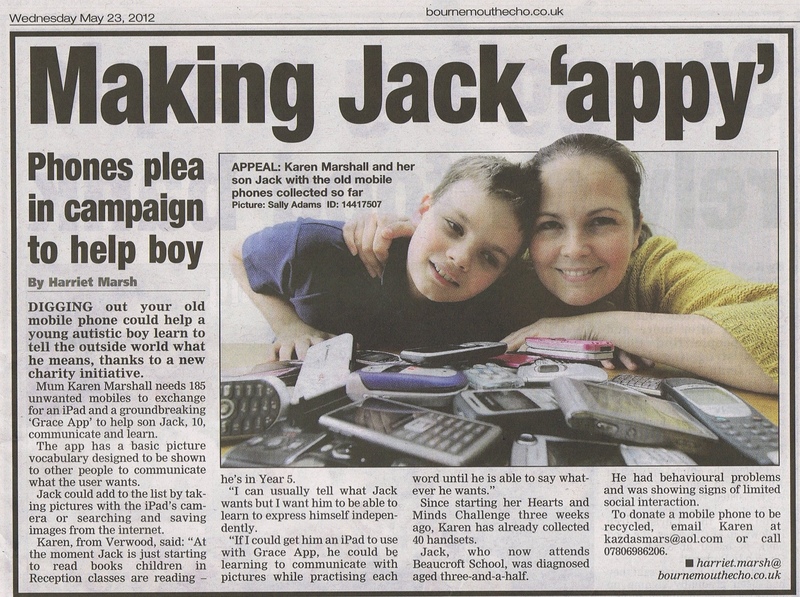 Then I read about ‘Hearts and Minds’ who are not only saving the planet but helping a child with autism to communicate. Of course it’s Ok to recycle your mobile for cash, especially if you have little… We all need some extra pennies sometimes. But remember this charity are happy to take any mobile phone, regardless of the state it’s in… Broken, old, “a brick” it really doesn’t matter! Thankfully my son is verbal and actually speaks very well! However he does have an array of communication difficulties and even for him such technology is a godsend. Little man attends a special school and as part of an OT programme he is now learning to touch type, his fine motor skills are very poor and his handwriting hardly legible. An iPad is on the Birthday list and it’s something I’d purchase with the knowledge of knowing that for little man it’s so much more than a fancy handheld tablet. I hope that others will read this and next time they open a draw to discover an old dusty mobile they remember this post and therefore remember that for a child with autism that dusty mobile is a door that opens into a world of communication! For more information on the programme visit Grace App or Hearts and Minds to see if you can help give a child with autism a way to communicate. Disclaimer: This is not a sponsored or guest post. I have not been asked to write this and have not received anything for sharing this information. I have done so as a way to help a charity on their mission to help others. Hi everyone, we now have the winner of our LEGO Discovery Centre Competition. Again I wasn’t able to use my usual “Random Picker” so had to use Random.org to generate the list and then a free number picker was used to draw the winner. Please send your address to the email in the blogs sidebar or alternatively please DM me on twitter @clairelouise82 and I will organise for your prize to be sent directly from the PR. Below is a copy of the list and draw. Have I got a treat for you guys. 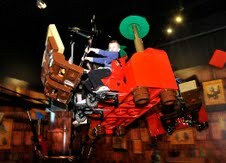 The guys at LEGOLAND Discovery Centre Manchester have asked me to run an exciting competition here on the blog. I have a family ticket (consisting of up to 2 adults and 2 children) to the awesome LEGOLAND Discovery Centre, to give away to one of our very lucky readers. It’s all happening this half-term at the Discovery centre. Little ones can have fun at the Duplo village and Little girls can go wild at the Princess palace. For those wanting a real hands on experience why not take part in the build and test activities. There is so much to discover from the LEGO STUDIOS, MINILANE and LEGO UNIVERSE, to the awesome LEGO CONSTRUCTION site. 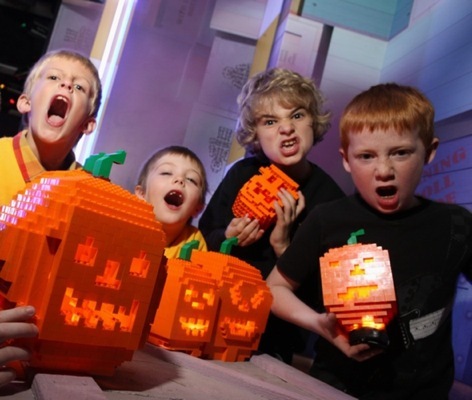 Just when you thought things couldn’t get any better, the LEGOLAND Discovery centre are hosting a number of exciting events and activities this half-term especially for Halloween. They can have great fun building their own LEGO Frankenstein in the Model Builder’s Workshop, searching for the skeletons and ghouls in MINILAND or brave the gloomy Factory Tour if they dare! Here’s some need to know info..
HOW’S THAT FOR AN OFFER! This prize is so smoking hot that I want it for myself! Yes, I haven’t told the LEGO mad Little man about the LEGO Discovery Centre because we are in London and he will be dragging me up to Manchester in a flash! So… DO you wanna win this spectacular price? Subscribe to this blog via email, then leave me a comment telling me why you want to win. Comment to let me know you did it. Comment to let me know you did it! Digg or Stumble this post by using the share buttons in the post. Leave an additional comment to let me know you did it! ALL COMMENTS SHOULD CONTAIN A CONTACT EMAIL OR TWEET ADDRESS TO BE VAILD. Competition will close on the 10 November 2011 Midnight. Winner will be drawn at random and notified by email or twitter. The Winner will have 48 hours to confirm, after this time another winner will be drawn. COMPETITION IS OPEN TO UK ONLY. Disclaimer: I haven’t been paid for this post, nor have I received any type of product in exchange. I am running the competition as we are big LEGO fans (especially Little man aka A boy with aspergers). We appreciate the support we get from our readers and would like to give something back. This is an amazing prize so please feel free to enter, Good Luck!